* Softly safe starter playground for 10 months thru 3's. 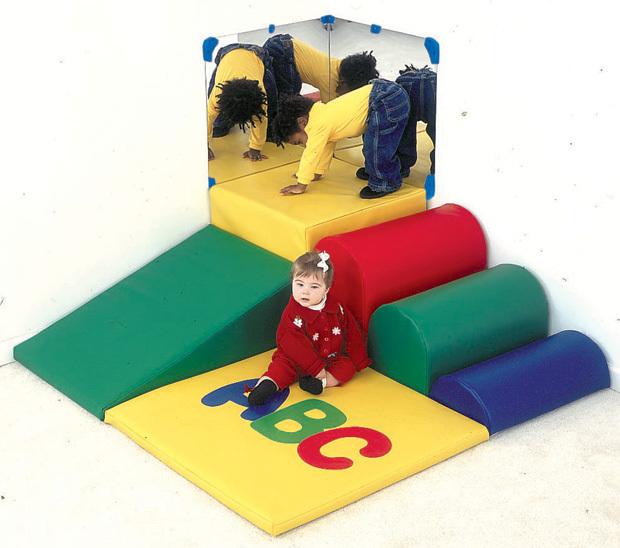 18" H cube and 36"1 ramp set up beginner motor skills. * 57" SQ. Corner Floor Space Required For Safe Use.